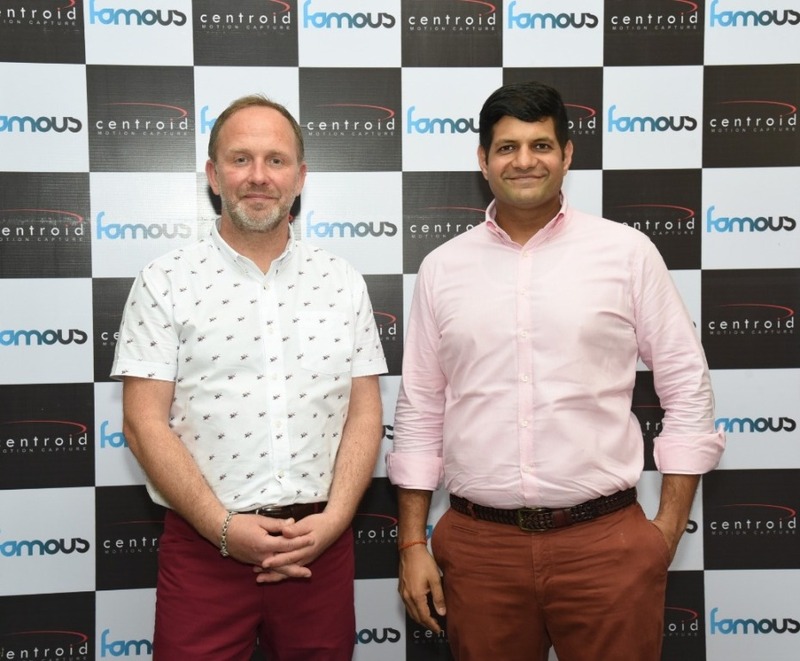 Famous studio being the first to bring an industrial standard end-to-end motion capture lab in India in collaboration with Centroid(UK based company). The lab is full equiped with items require to do the motion capture in real-time. The Famous Studio lab is based in Mahalaxmi, Mumbai. The lab was launched on November 16, 2018 and the walk through was given by Mr. Phil Stilgoe, CEO & Producer, Centroid – UK. Its a technique used by film/gaming/animation industry to record movements by placing markers on human body in 3D space using various IR cameras. The recorded data is then sent for post processing, where the errors are removed and the whole scene is then made using computer applications. When the cameras are used for motion capture, it comes under optical motion capture. There is another type of motion capturing done using Inertial suits having sensors inbuilt but are less accurate and do not require the use of cameras. Optical motion capture requires a lot of cameras depending on the shooting area. The demo presented by Centroid consisted of two people wearing suits having reflectors. The position of these reflectors were captured by the cameras placed all around the shooting arena. The reflectors were placed in such a way that cameras are able to capture motion of every body part and joints. One can map the terrain using LIDAR systems so that motion capture seems more realistic when you see it in real-time. The reflectors/markers required to capture the movement of a horse or any other animal might be more depending on the motion it makes while moving. More the markers/reflectors in the line of sight of cameras, the better is the motion capture. 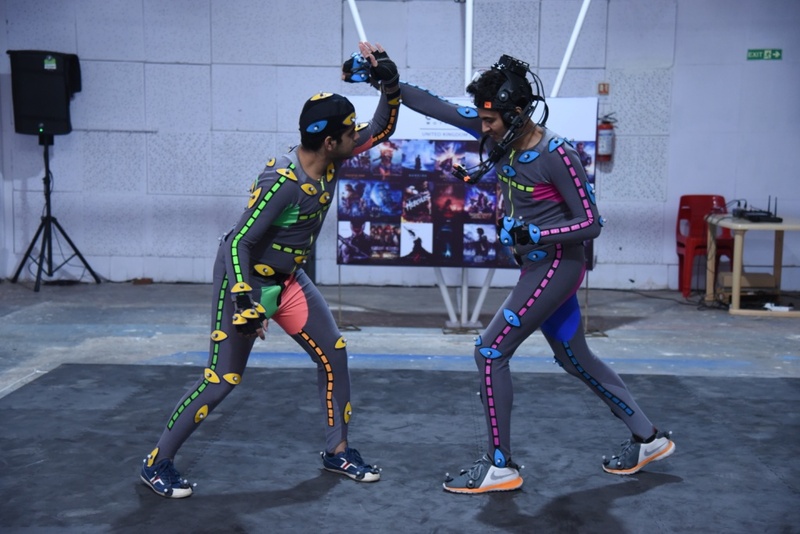 The final recorded mo-cap is the end result of averaging out data from all the cameras placed in the arena to get much better accuracy. The demo had a crate placed in arena which was already mapped into the scene so the interaction with the objects was realistic while viewing it in real-time. Some international movies like Guardians of the Galaxy, Mad Max, Godzilla, Assassin’s Creed are certain examples were motion capture was used to develop it. 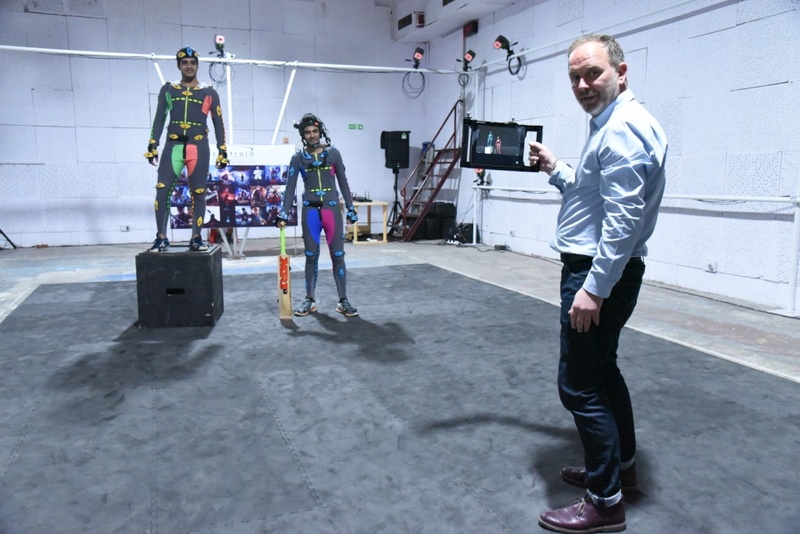 Now the gates are open for Indian Industry to do motion capturing using these amazing techniques. With this collaborations comes services like Motion and Performance capture, Previs and virtual production, crowd sim solutions, character pipelines for game and VR developers, and much more! “Partnering with Famous Studios is a no-brainer for us. Not only do they have a strong position & reputation built over seven decades, they have time and again showed their readiness to adopt new technology”, he added. Some of the challenges faced by the motion capture technique are scenarios where the size of different characters varies by huge amount like in the movie Godzilla. The character of Godzilla has to make movements based on the scaling size factor of other characters. Also in the movie Wolfman and Planet of the Apes, additional props had to be used as arm extensions to mimic the original character movement. Except for wild animals, other animals can be used for motion capture with reflectors stick to their body. One of the interesting case was the one where even snake movement was captured using this technique. All the scenes which are not possible in real-life can be done using motion capture technique and then post processed to get the desired output. Places where even a small detail like finger movement has to be captured incurs more charges. One of the best use case is where VR is used when the director wants to place himself into middle of the scene to find the perfect angle to shoot. Using VR, even the actors can see their movements in real-time to make it more accurate based on their character. Built over 1500 sq. ft, the Motion Capture Lab at Famous Studios will support artists through the entire journey, from shooting, to post-production. With this new technology, Famous Studios invites a new generation of innovative visual creators to break into new spaces.